How to Get Stains Out of Oriental Rugs in Broomfield, CO 80020. Call 303-530-0646 or go to cleancareboulder.com. For more articles like this, go to Cleancare Articles. From Mrs. Clean. Cleaning Tip: Use a light, portable and inexpensive, deep cleaner to spot clean stains from carpets and rugs. The deep cleaner helps by lightly spraying the area with cleaning solution (or plain water) that the unit is filled with and then applies suction to extract the water immediately after. It's great for emergencies, helps to remove the stain, rinses and extracts the cleaning solution that was used. 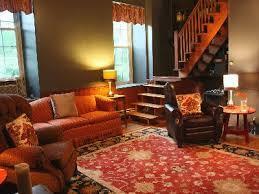 -If the stain remains after the following procedures, try our great rug washing service. -Sprinkle plain talcum powder on the stained area. -Let the talcum powder rest on the rug until dry. If the stain remains, move to the next cleaning solution. -Fill a spray bottle with plain warm water (or use a deep cleaner like I mentioned above). -Start at the outer edges of the stain (working inward) and gently blot with a clean white cloth. -Never rub the fabric as it can damage the rug fibers. If stain remains, move to the next cleaning solution. -Mix 1 teaspoon of mild, clear dishwashing liquid (like Dawn) to 4 cups of warm water. -Fill a spray bottle or use a deep cleaner like I mentioned above with the cleaning solution. -Start at the outer edges of the stain and work your way toward the center using a dampened cloth to gently blot the stain. -Repeat until stain is gone. Make sure to either rinse your cloth often or use as many clean cloths as necessary. -Rinse the area by misting with water and blotting to remove as much soap residue as possible. -Allow the rug to dry thoroughly. Make a spot cleaning solution with vinegar to remove the stain. Plain white vinegar is a mild acid and natural deodorizer. Vinegar works well to remove coffee stains and vomit stains. Make sure to rinse the stain completely with cold water to remove all traces of remaining vinegar from the carpet fibers. Test this solution in an inconspicuous place first. Most Oriental rug dyes today are acid-fast and benefit from vinegar and water cleaning solutions. Acidic vinegar helps to bond the dye in the wool in the rug, which helps prevent the colors from running. Use the same cleaning process steps I have listed above for degreasing the stain with Ivory dishwashing detergent. If the spill was rather large, you can take the rug out side and use a garden hose to rinse the stain outside before using the cleaning solutions to work on the stains. Use a fan to help completely dry the area when the stain has been removed. Place it beside the rug allowing air flow over the damp area. FREE Rug Pickup and Delivery!